Coming at you are parts three, four and five of Maximilian's "WEEK OF" Ultimate Marvel vs. Capcom 3. Watch the continuation of this week of madness inside. 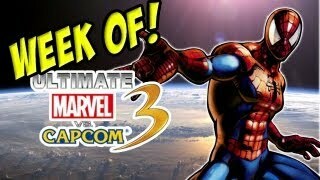 Maximilian continues his "WEEK OF" Ultimate Marvel vs. Capcom 3. Above are parts three though five on the PS3 version of the game. Missed the first two parts? Click here and here.